The BEE SECURE Stopline provides a structure for the general public to report anonymously potential illegal content encountered online. These reports are treated in collaboration with relevant national and international authorities and partners. Through its website, the BEE SECURE Stopline therefore offers to the public a way of taking civic action against potential illegal content encountered online. 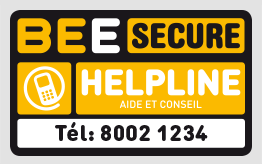 The BEE SECURE Stopline is operated by the Kanner-Jugendtelefon in the framework of the initiative BEE SECURE. In this context, some 27 EU countries, Norway, Iceland and Russia have awareness-raising centers similar to BEE SECURE, helplines and hotlines for reporting illegal content. All these projects are part of coordination networks - the INSAFE network for awareness-raising projects and the INHOPE – International Association of Internet Hotlines network for hotlines. As part of the management of reports of potential illegal content, the Kanner-Jugendtelefon as operator of the BEE SECURE Stopline and the Service National de la Jeunesse as coordinator of the initiative BEE SECURE have a collaboration agreement with the Police Grand-Ducal: The BEE SECURE Stopline acts as an intermediary and expert for the receipt, analysis and transmission of reports to the relevant departments of the Police Grand-Ducale. This collaboration agreement only concerns transmission of information relating to illegal content reported and confirmed by the operators of the BEE SECURE Stopline. 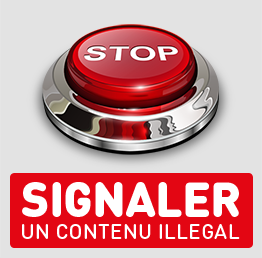 INHOPE - International Association of Internet Hotlines, is the worldwide umbrella organisation for Internet hotlines dealing with illegal content. The mission of INHOPE is to support and improve the activities of Internet hotlines and to guarantee the coordination of actions taken to deal with reports about illegal content online. As member of the INHOPE network, the BEE SECURE Stopline adheres to its Code of Practice. Here you will find more information about INHOPE and a complete list of its member hotlines. INHOPE Foundation is a charity constituted in 2010 to help develop and support new hotlines in emerging countries by prioritizing countries where child sexual abuse material is being facilitated, produced or distributed.